We’ve been planning to get a chest freezer for a while. When my wife found an almost-new one for sale on a Facebook local buy/sell group, we jumped on it. It is so light that I was able to load/unload it in my boss’s pickup on my own easily. And yes, it does work. 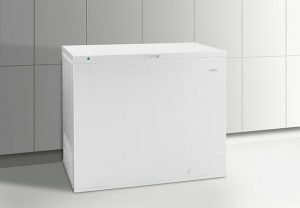 I had found a 7.2 cubic foot freezer online for $250, so that was our budget. However, we ended up getting almost 2 cubic feet more space, and a better-known and more trusted brand, for $110 less than I had budgeted. This is one of the chief advantages of using the to-buy list–if the need isn’t urgent, I can look for months for a better deal. If I find it, I pull the trigger. If I don’t, and the need is becoming more urgent, I can buy it knowing that I’m not likely to find a better deal. 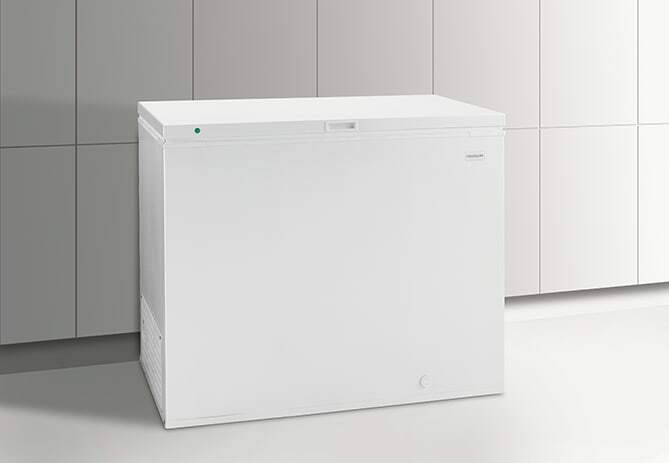 The freezer now lives in the garage, which is right off our kitchen, making frozen food retrieval convenient. This purchase goes hand-in-hand with the FoodSaver, and together they will pay for themselves faster than either would on its own. This changed our culinary life. We started buying whole animals in bulk and being able to store them. A suggestion, since you’re early on: figure out some way to organize it since it will be hard to access the lower levels. Good point. I’ll have to see how milk crates fit inside. As for whole animals, I hope to put two nice fat does in this fall.